﻿﻿﻿﻿As a college graduate I have always had the dream of owning my own gym. Evolution Fitness 321 has become the reality of those dreams. Born and raised in Burke County, I moved to Caldwell in 2006 and fell in love. 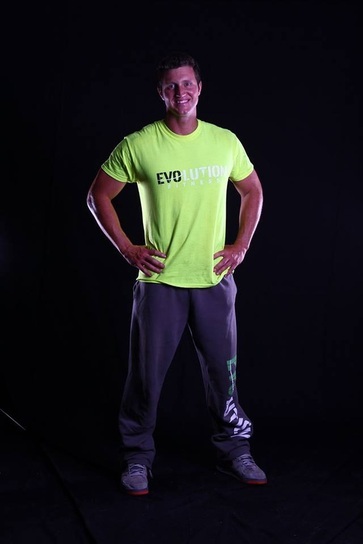 I have a vision for this area of creating an atmosphere of success for anyone who comes to Evolution Fitness 321. A place where goals are reached everyday, and we are able to progress together to a better state of ourselves. I have a long history in Fitness of all types of 13 years, including sports, weight training and dance. I danced competitively for 3 years in Hip Hop and Swing. My dance experience really propelled my love and participate in dance fitness! I'm a family man, and a religious man and strive every day to deal honestly with my fellow man. I believe a person can make monumental changes in their life simply by deciding within, and developing that belief. It is this desire that spawns our action, and grows into our results! Small daily actions, complete our large yearly goals!